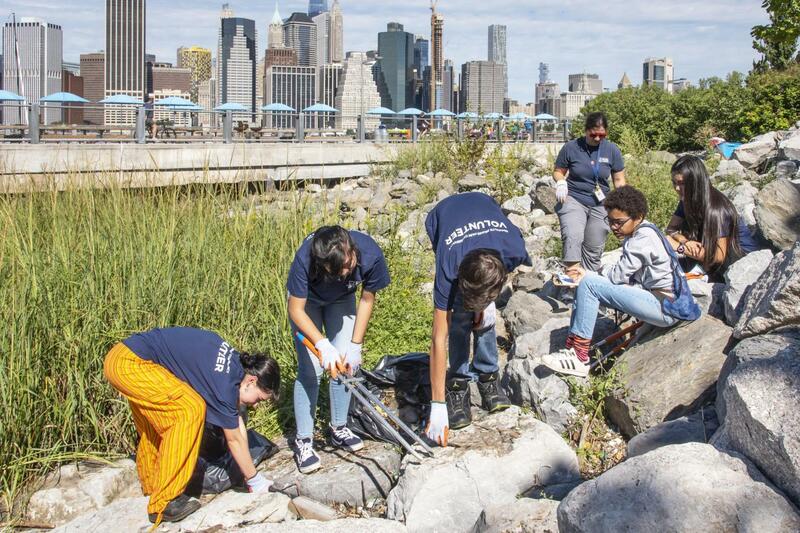 The Brooklyn Bridge Park Conservancy just celebrated the completion of the third annual Teens Interested In & Dedicated to Environmental Sciences (TIDES) volunteer program. Ten dedicated students from Brooklyn, Queens, and Manhattan completed community services hours while exploring and learning about the environment through gardening, seining, coastal cleaning, and clearing oyster cages. 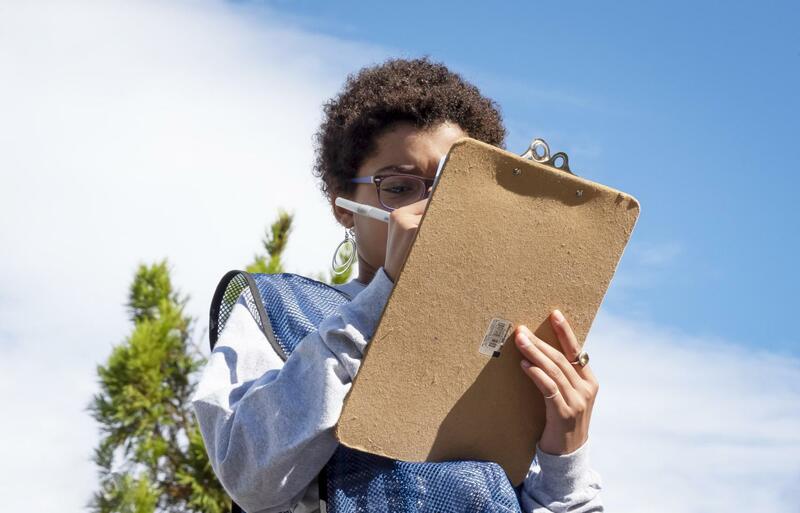 The TIDES program welcomes volunteers, ages 14-18, to participate. Get to know a few of our 2018 volunteers below! Why did you apply to TIDES? I applied to TIDES because I wanted to do more hands-on work with the environment. Growing up in New York City, I was exposed to many environmental issues: trash left to rot, air pollution due to lack of plant life, cigarette butts flooding the streets, and colossal amounts of noise every step I took. These experiences sparked my passion to study environmental science and sustainability, spread public awareness, and do as much as I could to help out. TIDES was the perfect place that allowed my passion for the environment to grow and to flourish. What was your favorite session of TIDES? Why? My favorite session at TIDES was definitely the Coastal Cleanup because of the true impact we made on the environment. After collecting bottle caps, straws, tampons, foam, ziplock bags, cans, and endless other items, it was very rewarding to see how we could do hands-on work and make a cleaner and safer environment for all ecosystems. 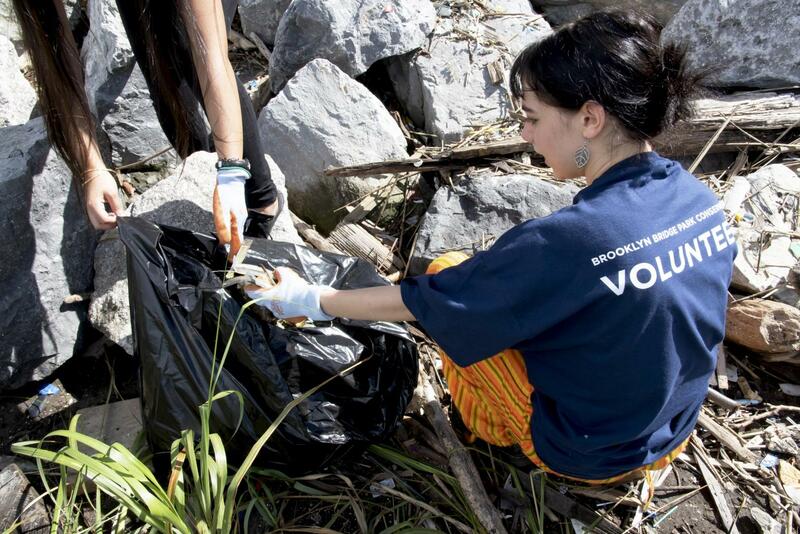 What is a fun fact you learned while volunteering at Brooklyn Bridge Park? A fun fact that I learned was that clover tastes like strawberries. Will you continue to volunteer/work with environmental sciences in the future? I will 100% volunteer again! I fell in love with the park ever since I stepped foot in it, and I can’t wait to continue my work and spread my passion! I applied to TIDES because I have a strong interest in environmental sciences. I want to continue learning about science and this program helped me experience the hands-on part which I have never done before. My favorite session in TIDES was sustainable landscapes because I learned a lot about the history of the park. It was a nice way to become familiar with the park by learning about the history and the different landscapes. That Brooklyn Bridge Park was originally a bunch of piers used for shipping and storage. Yes, I will continue to work with the environmental sciences in the future. I thought it’d be a fun way to volunteer since I hadn’t done much volunteering since summer 2017. My favorite session was when we spread mulch on the trees and dug up weeds. It was so fun and cool to see so many different species of plants! Shrubs have the most amount of species in the park. Yes! And I plan on doing this again next year. 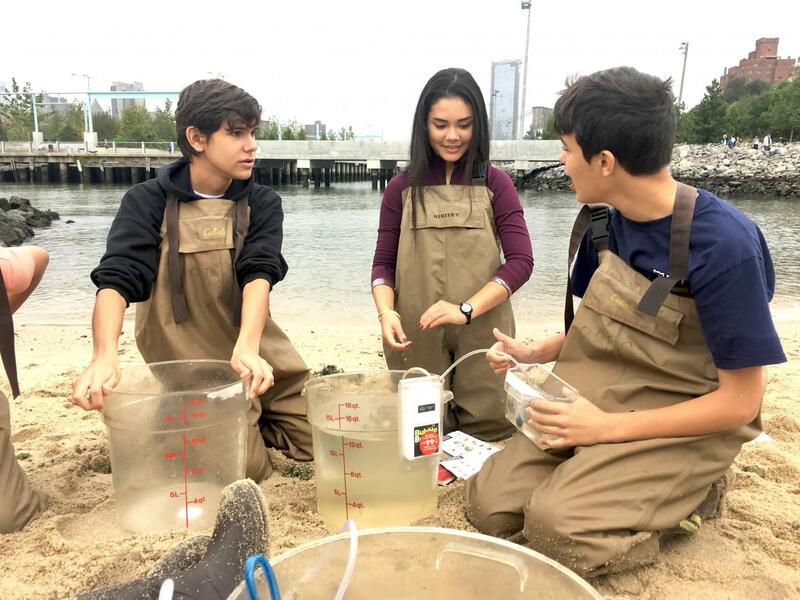 I applied to TIDES because I really enjoyed the subject environmental science at my school and wanted to do hands on activities outside of the classroom. My favorite sessions of TIDES was the Coastal Cleanup because it showed how the impact of humans has affected animal survival. The litter we produce, such as plastic straws and styrofoam, end up finding its way to animal’s homes. I believe that helping to clean out trash from their homes will really benefit them in the long run. I learned that it was abandoned warehouses before it became a park. The nearby neighborhood got together to raise money and and fight to turn the old warehouses into beautiful park piers. Yes, I plan on continuing to work in the field of environmental science, whether that be volunteering or even a potential field of study. Seining, because that was my first time doing it. I didn’t know that oysters were endangered in the harbor. I applied to TIDES because I refuse to sit at home and do nothing. I thought the best way to spend my time constructively was to do a volunteer program. My mom told me about TIDES and I instantly signed up. My favorite session was Coastal Cleanup because it was really fun climbing on the rocks. It was also surprising because there were things I didn’t expect to find due to littering. It shows how we’re all victim to it, and it doesn’t hurt to stop and think about the effects of what you do. I learned about the lifecycle of an oyster, as well as the Billion Oyster Project. Yes. You are educated on the world you live in and it’s important to know what’s going on. Learn more about TIDES and participating in the program by visiting our VOLUNTEER PAGE.